Signed by D-backs as a free agent (Dec. 8, 2014)...Has a daughter in Cuba (Analia) and a daughter, Mia, with wife, Melissa, in Phoenix... Named Yasmany after an artist on a Brazilian soap opera in the '80s his mom used to watch. Hit .262 with 22 doubles, 14 home runs and 65 RBI in 106 games with Triple-A Reno...Appeared in 44 games in left field, 35 as DH, 9 at first base and 1 in right...Was 12-for-19 (.632) with 6 doubles, 1 triple, 2 home runs, 11 RBI and a 2.000 OPS in a 5-game stretch from June 21-28 ...Did not play after Aug. 27 due to a strained left hamstring...Played with Estrellas in the Carribean Series in February. Limited to 47 games after being placed on the 10-day disabled list on June 6 with right groin tendinitis...underwent core surgery on Aug. 22 in Philadelphia (performed by Dr. Bill Myers)...Batted .241 AVG/.294 OBP/.464 SLG with 11 doubles, 8 home runs and 32 RBI before being placed on the disabled list...Hit .302 (16-for-53) with 5 doubles, 1 triple, 4 home runs and 25 RBI with runners in scoring position. Hit .272 (144-for-530) with 30 doubles, 31 home runs, 83 RBI in 140 games in his first full Major League season...Ranked among the NL leaders in homers (T-9th) and slugging pct. (T-12th, .508)...Was the ninth D-back (11th time) with 30+ homers and 30+ doubles, and the fi rst since Paul Goldschmidt in 2015...His 7 multi-homer games were most in Majors and were tied with Steve Finley (1999) for second-most by a D-back (8 by Luis Gonzalez in 2001)…his 5 multi-homer games on the road were the most in the NL since Albert Pujols' 5 in 2010...Tied for the second-youngest Cuban-born player to hit 30 homers, behind Jose Canseco, who did so from ages 22-25 (1986-90) (also: Tony Oliva in 1964)...His 22 homer increase from 2015 (9) to 2016 (31) was the second highest among players with 400+ at-bats in each season, trailing Mark Trumbo (25)...Is 1 of 34 players since 2006 to hit 30+ homers in their age 25 season or younger...Of his 30 homers, 21 either tied the game, gave his team the lead, pulled the team within a run or extended a 1-run lead...Recorded 2 multi-homer games while hitting eighth in the order, the fi rst player in team history to have multiple multihomer games from the No. 8-9 spots...Made 91 appearances in right field, 60 in left and 1 at first base...Had 4 games of 5+ RBI, a team record and the most in the NL since Justin Morneau and Adrian Gonzalez each had 4 in 2014...Hit .364 (47-for-129) vs. left-handed pitching, the second-best mark in the Majors (Martin Prado, .424)...Ranked among the NL leaders during the second half in several categories, including home runs (T-4th, 18), RBI, (7th, 49), slugging pct. (8th, .584) and total bases (9th, 143)...His 14 homers with 2 strikes were tied for the second most in NL (also: Charlie Blackmon and Yasmani Grandal) and tied for third in team history (also: Mark Reynolds in 2009)...Recorded 6 games of 3+ hits vs. Rockies…was the fi rst player in team history to record 3+ hits in 6 or more games vs. a single opponent in a single season, and the fi rst Major Leaguer since Derek Jeter vs. Orioles in 2012...Made his first Opening Day roster...Recorded his first career walk-off hit on April 8 vs. Cubs (ninthinning single)...Homered in 4 straight games @ Chase Field from Aug. 15-22, matching the longest streak in team history (also: Reynolds from April 14-21, 2009; Troy Glaus April 6-10, 2005; Jay Bell Sept. 27, 1998-April 4, 1999)...Recorded a career-high 6 RBI and 11 total bases (2 HR, 1 3B) on Aug. 17 vs. Mets...His 10 homers in August were a monthly career high (all at home)…was the fi rst NL player with 10+ homers in a single month at home since the Rockies' Troy Tulowitzki in Sept. 2010 [source: STATS LLC]...Recorded first grand slam on Sept. 12 vs. Rockies and matched his career high with 4 hits (also: June 24, 2015 @ Rockies). Hit .273 (111-for-406) with 19 doubles, nine home runs and 48 RBI in his first Major League season with the D-backs...Ranked among NL rookies in multi-hit games (T-second, 34), hits (seventh), average (ninth) and RBI (10th)...48 RBI were eighth most by a D-back rookie in a single season while his 19 doubles were tied for ninth... Played in 57 games in right field, 31 at third base, six in left and four at first... was 5-for-14 (.357) in three games as a designated hitter...Batted at least .300 for each of the first three months (.333 in April, .316 in May and .311 in June)...Collected first hit on April 19 at the Giants (single off Jean Machi)...Hit his first home run on May 16 at the Phillies (off Ken Giles)...His six straight multi-hit games from May 16-21 set a D-backs rookie record...11-game hitting streak (.420, 21-for-50) from May 16-27, including 8 multi-hit efforts...31 hits in May set the club rookie record (previous: 27 by Didi Gregorius in 2013)...Career-high 4 hits on June 24 @ Rockies. Appeared in 68 games with Industriales in the Cuban Serie National and hit .286 (69-for-241) with 16 doubles, six home runs and 36 RBI. Established career highs in slugging percentage (.364), doubles (18), RBI (60) and at-bats (277) in his fourth season with Industriales...Played with Cuba in the World Baseball Classic and batted .375 (6-for-16) with one double, two home runs and five RBI... Ranked by Baseball America as the sixth-best non-MLB player in the World Baseball Classic. Hit .298 (81-for-272) with 20 home runs, 50 RBI and a .921 OPS in his third season with Industriales... Participated in the Cuban Serie National finals but lost to Ciego de Ávila. Played in just 24 games with Industriales. Made his Cuban Serie National debut at age 18 with Industriales and hit .297 (27-for-91) with one homer and 11 RBI in 35 games. January 31, 2019 Arizona Diamondbacks invited non-roster LF Yasmany Tomas to spring training. January 27, 2019 OF Yasmany Tomas assigned to Dominican Republic. January 2, 2019 OF Yasmany Tomas assigned to Estrellas Orientales. April 2, 2018 Arizona Diamondbacks sent LF Yasmany Tomas outright to Reno Aces. March 25, 2018 Arizona Diamondbacks optioned LF Yasmany Tomas to Reno Aces. November 3, 2017 Yasmany Tomas roster status changed by Arizona Diamondbacks. July 27, 2017 Arizona Diamondbacks transferred LF Yasmany Tomas from the 10-day disabled list to the 60-day disabled list. Right groin tendinitis. June 27, 2017 Arizona Diamondbacks sent LF Yasmany Tomas on a rehab assignment to AZL D-backs. June 6, 2017 Arizona Diamondbacks placed LF Yasmany Tomas on the 10-day disabled list retroactive to June 3, 2017. Right groin tendinitis. April 15, 2015 Arizona Diamondbacks recalled LF Yasmany Tomas from Reno Aces. April 5, 2015 Arizona Diamondbacks optioned OF Yasmany Tomas to Reno Aces. 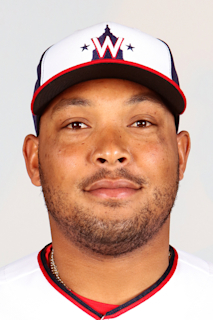 December 8, 2014 Arizona Diamondbacks signed free agent Yasmany Tomas.